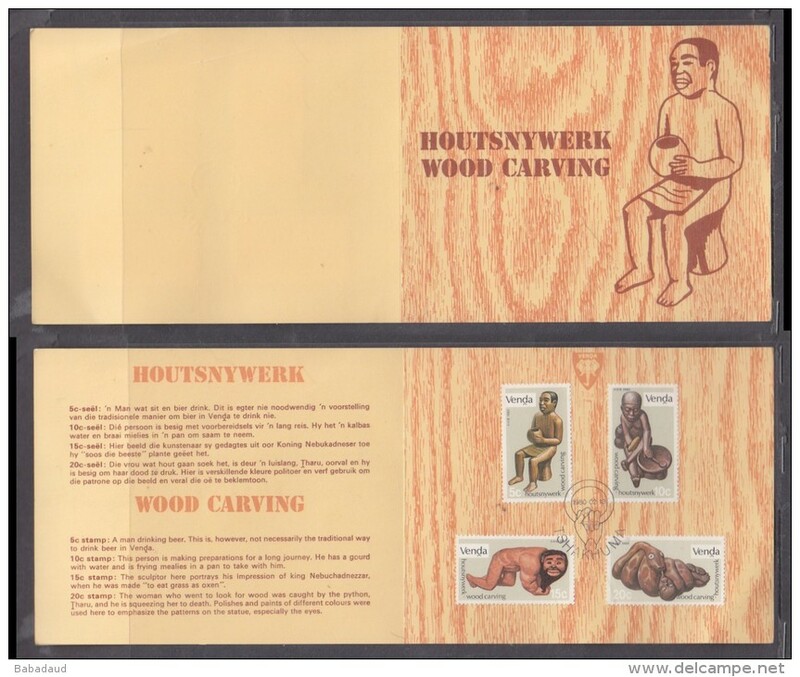 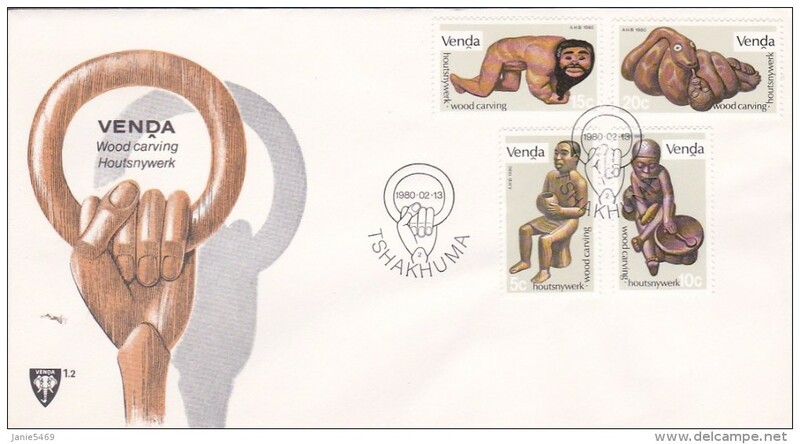 Venda 1980 Wood Carving collectors sheet 1./2a special TSHAKHUMA cancel. 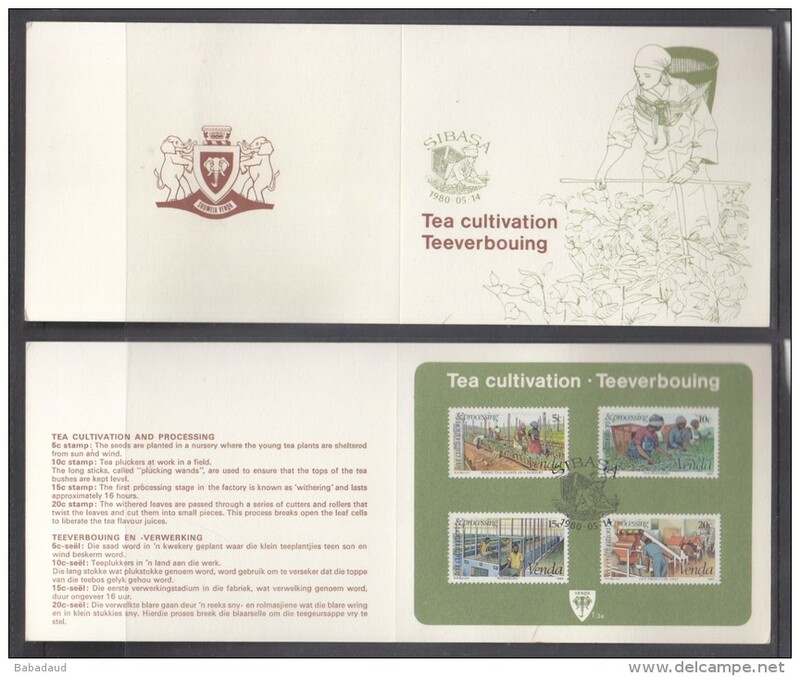 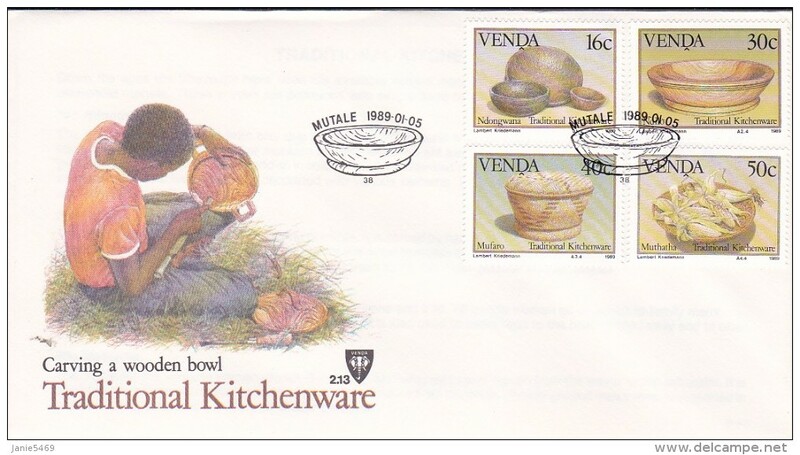 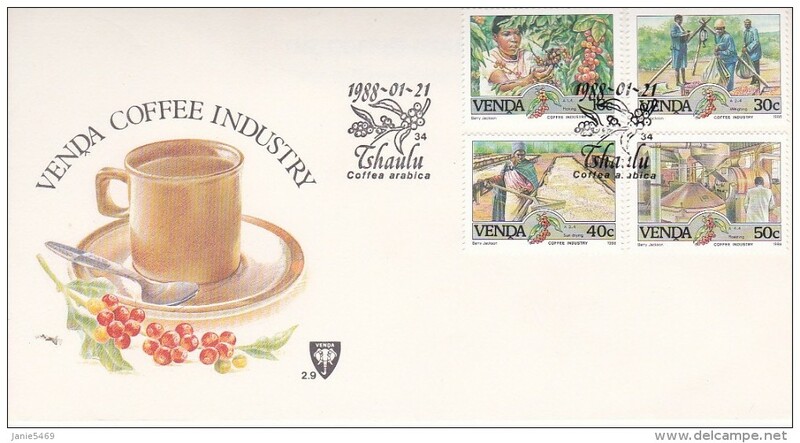 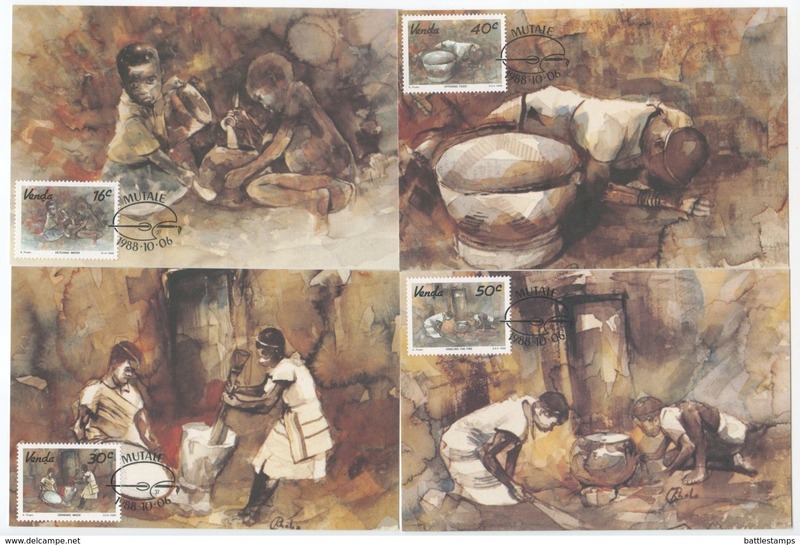 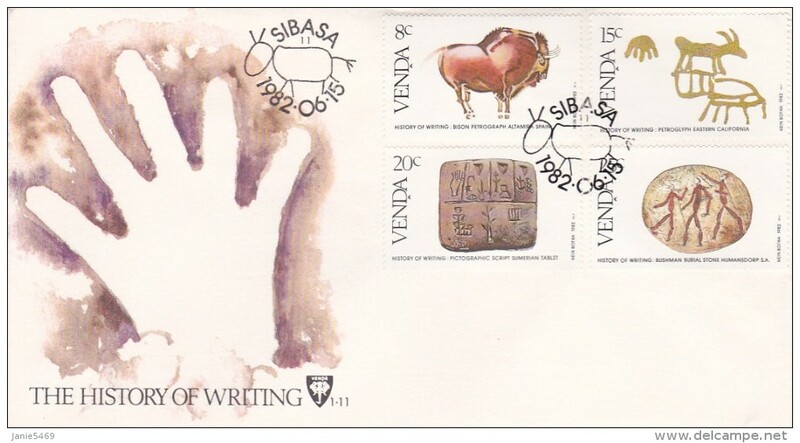 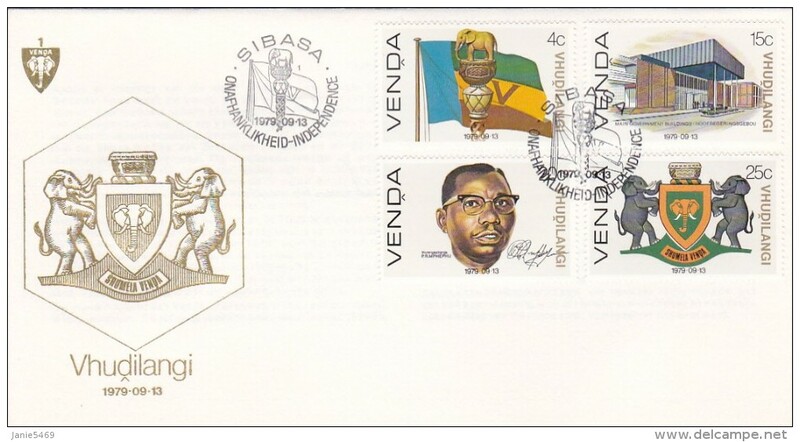 Venda 1980 Tea processing collectors sheet 1./3a special SIBASA cancel. 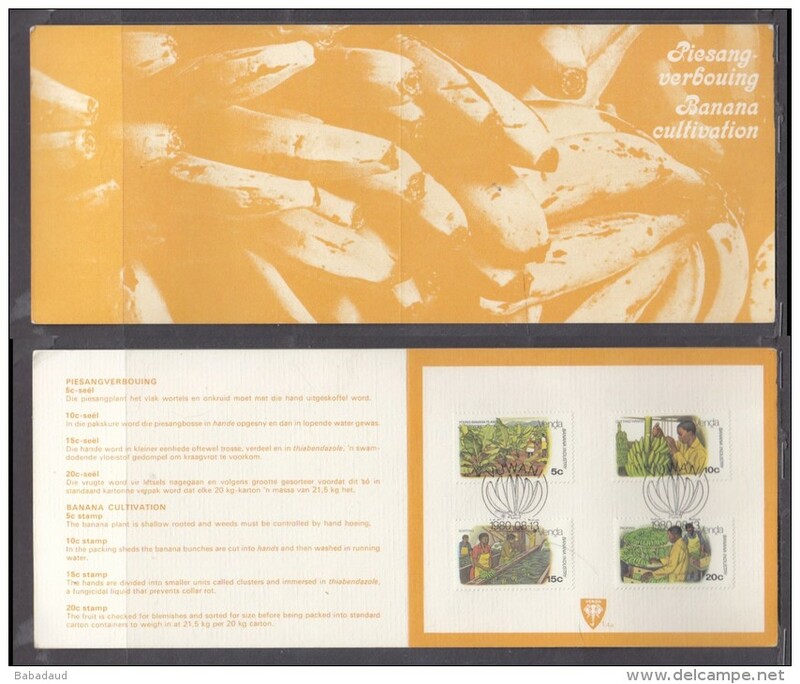 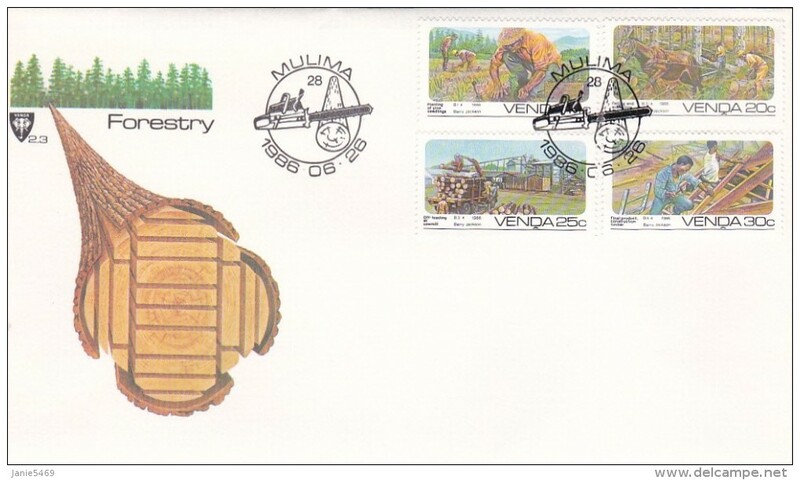 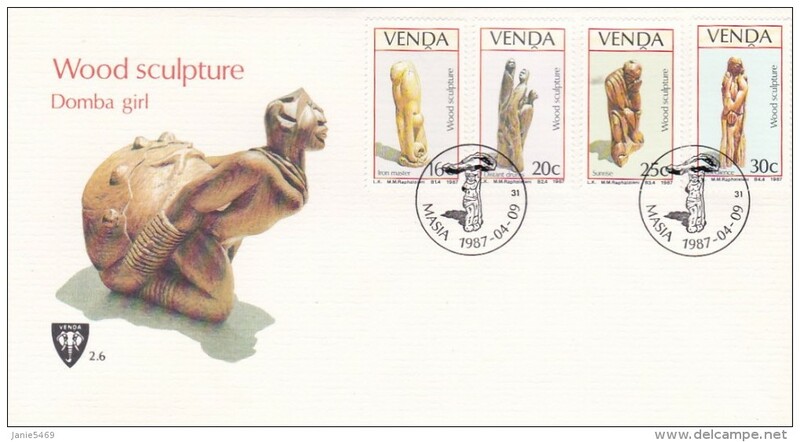 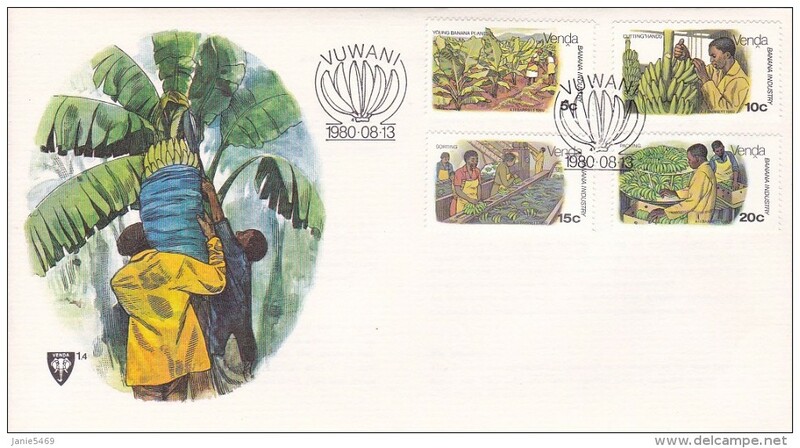 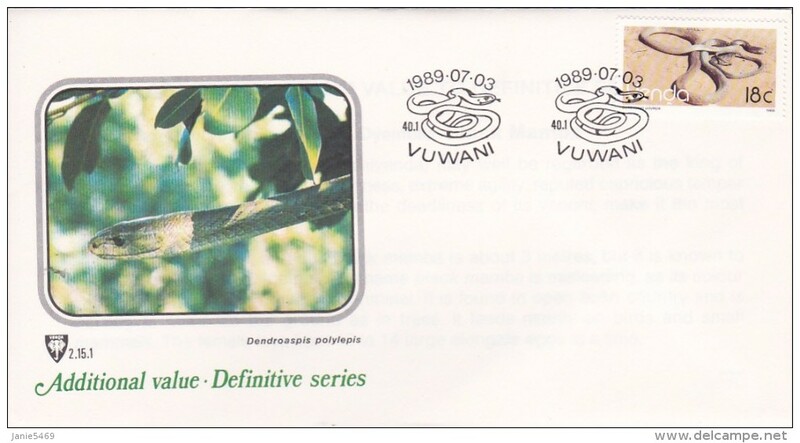 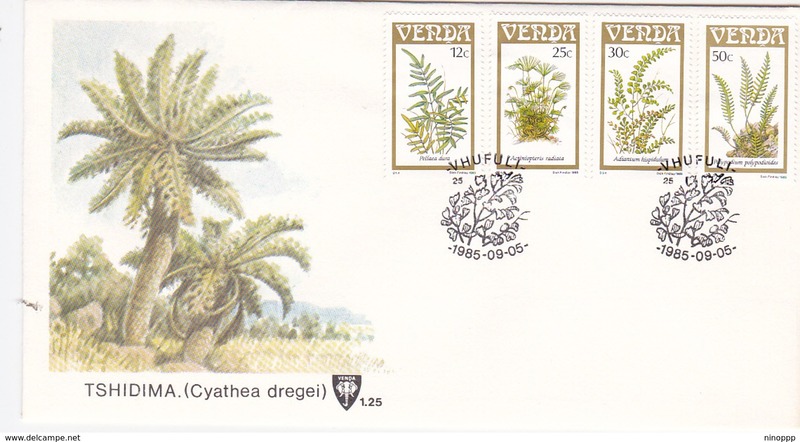 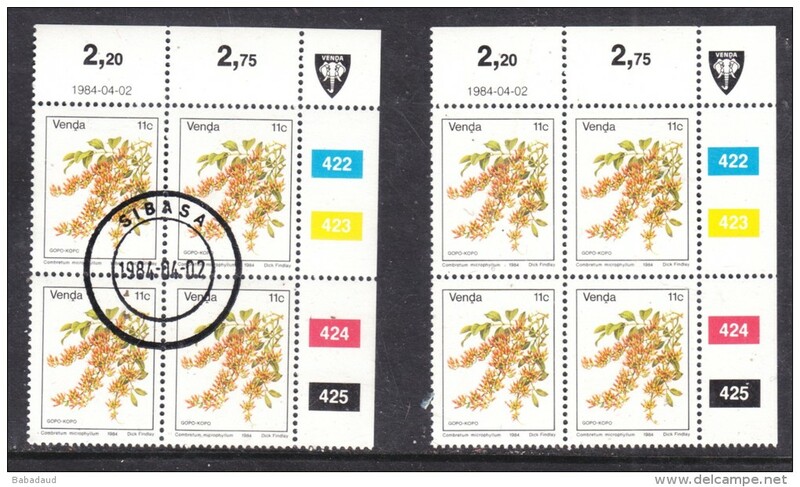 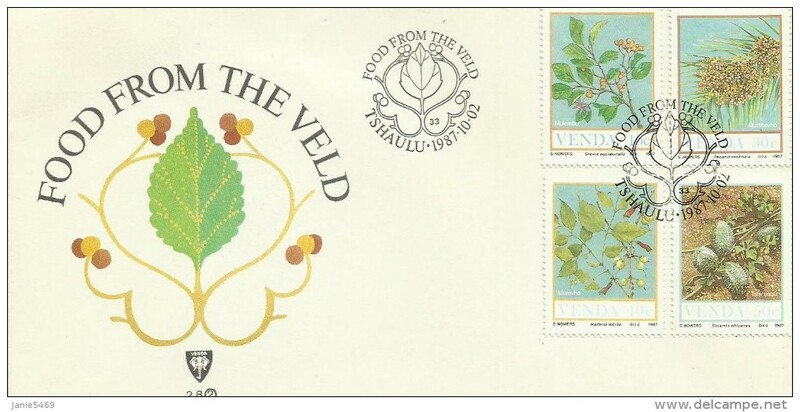 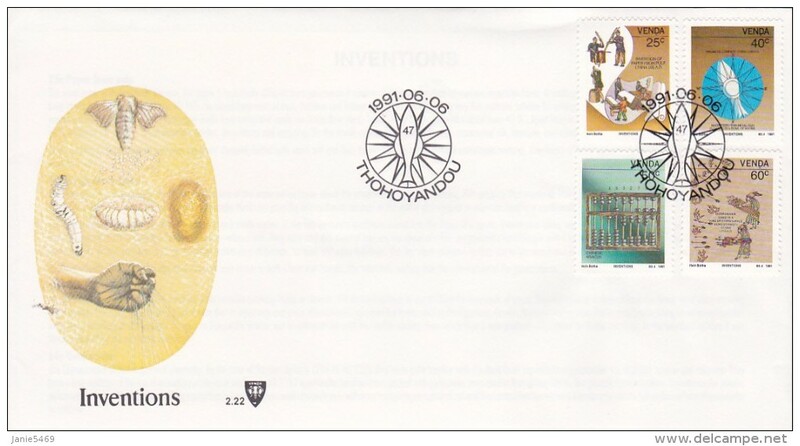 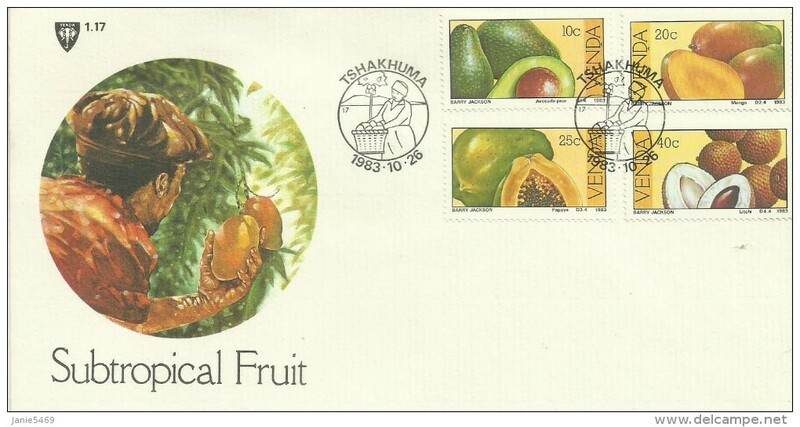 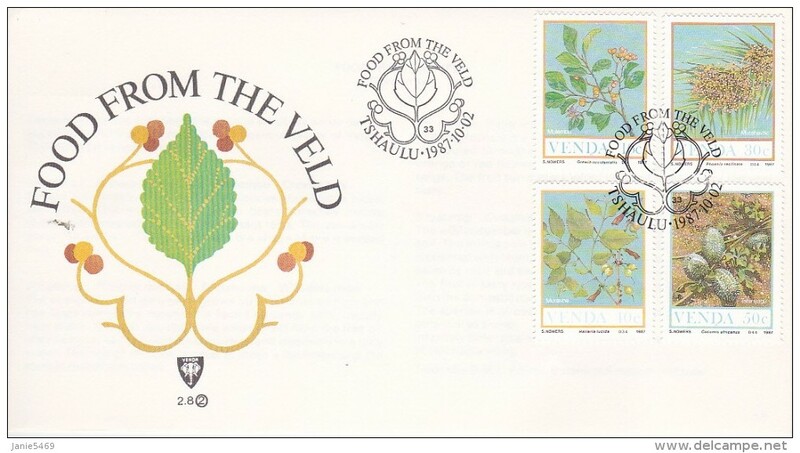 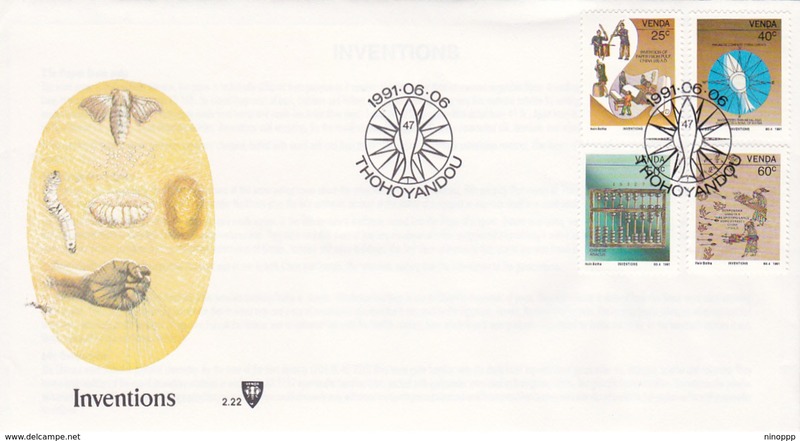 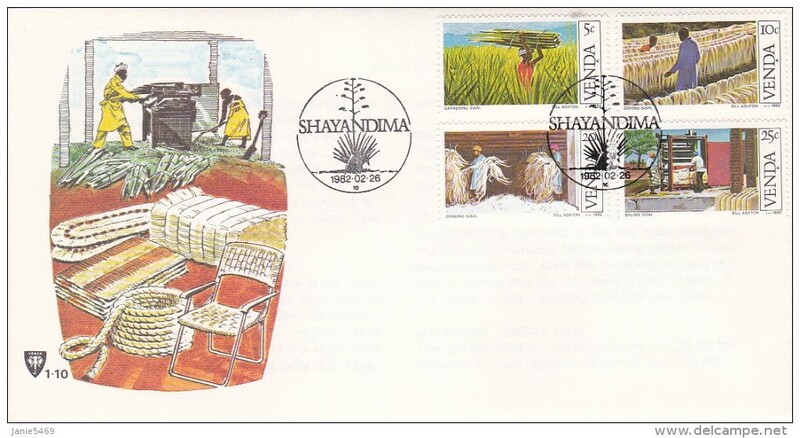 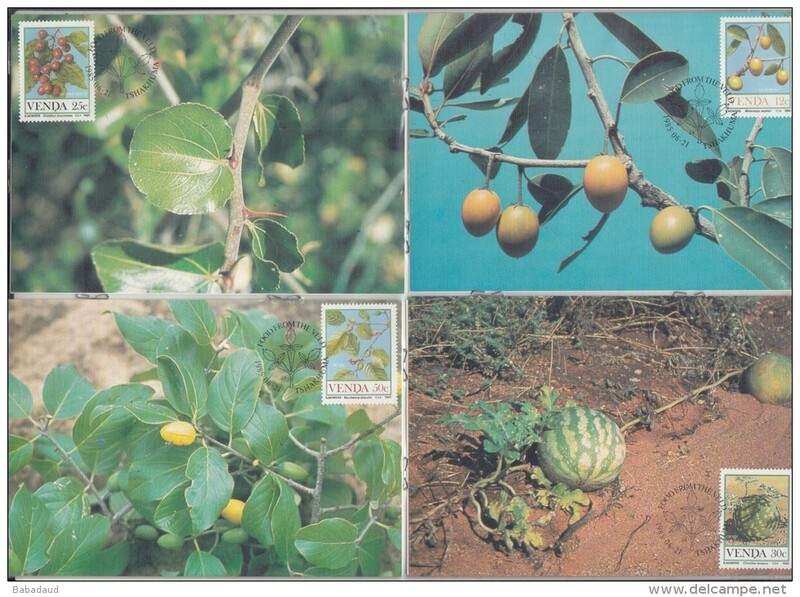 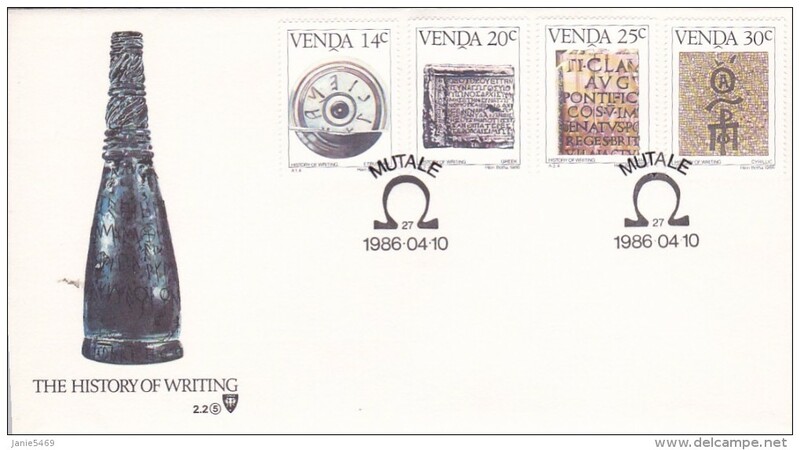 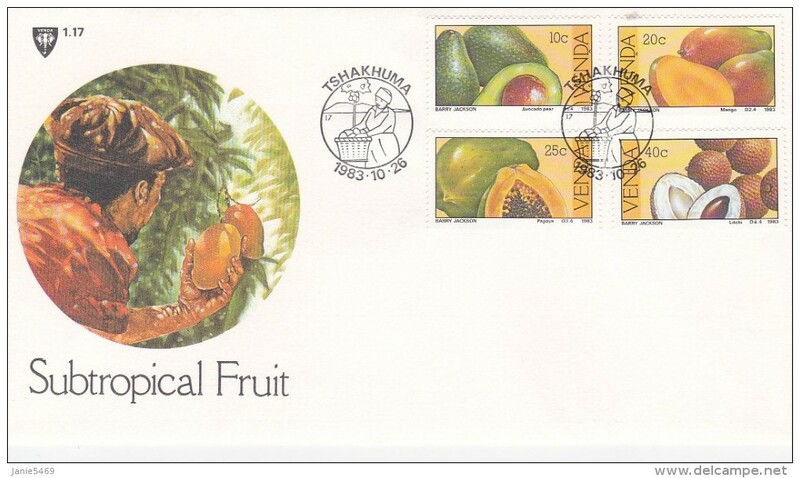 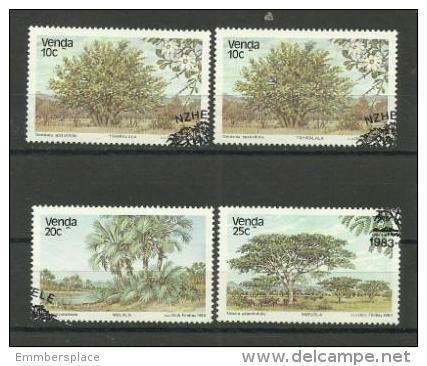 Venda 1980 Banana Cultivations collectors sheet 1./4a special SIBASA cancel. 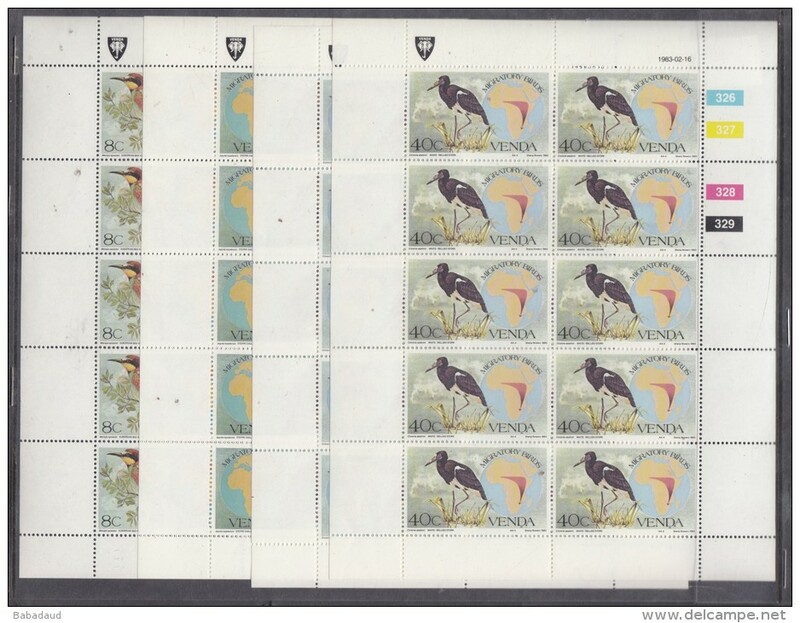 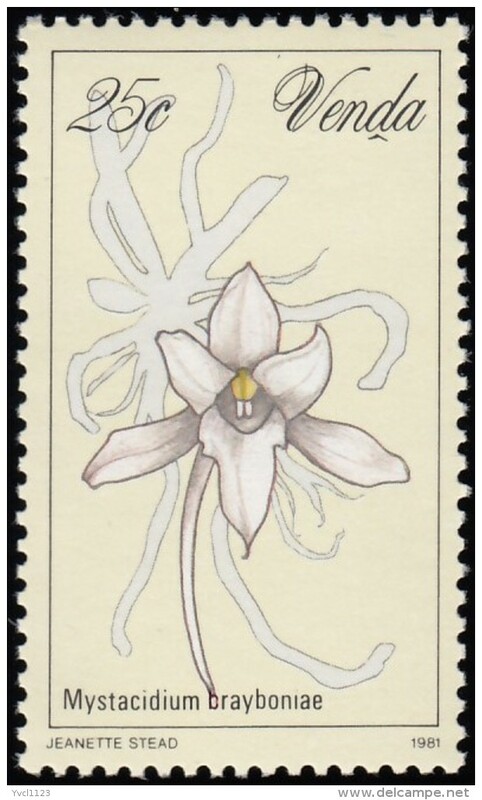 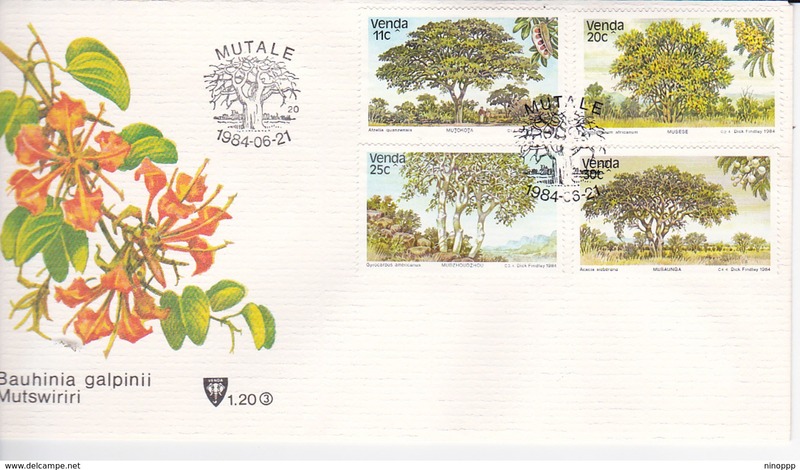 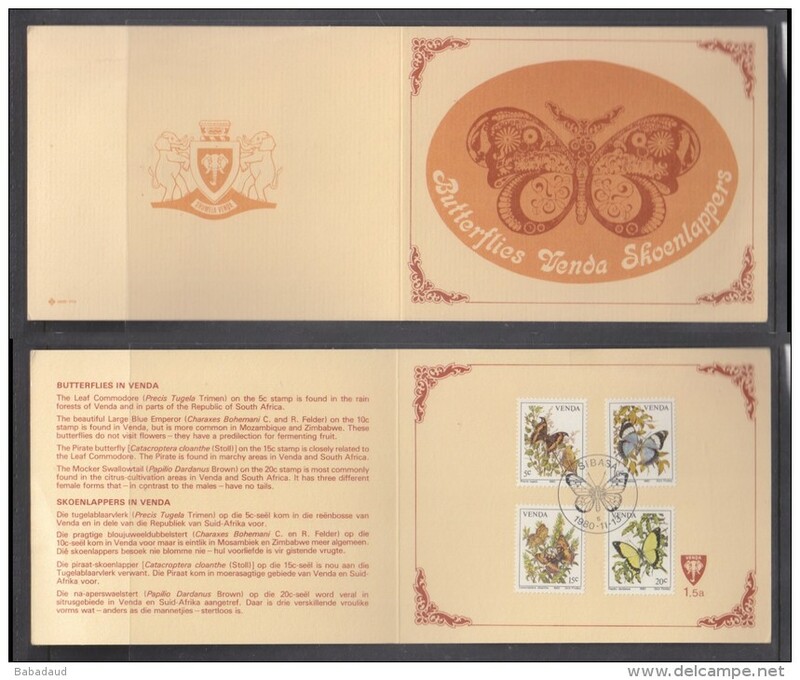 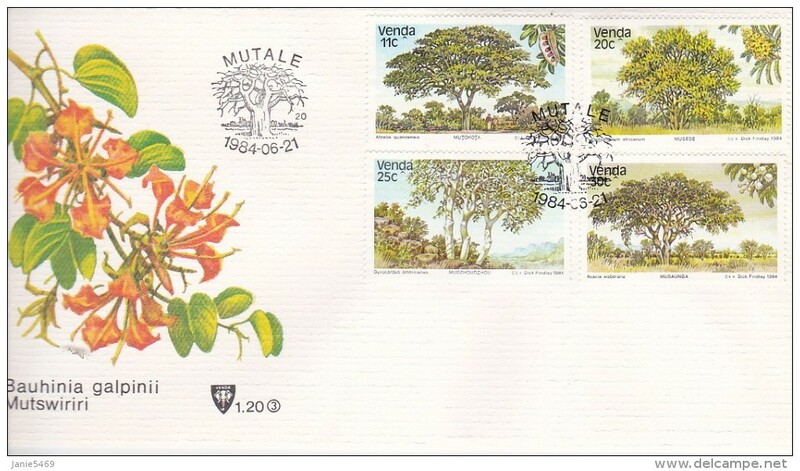 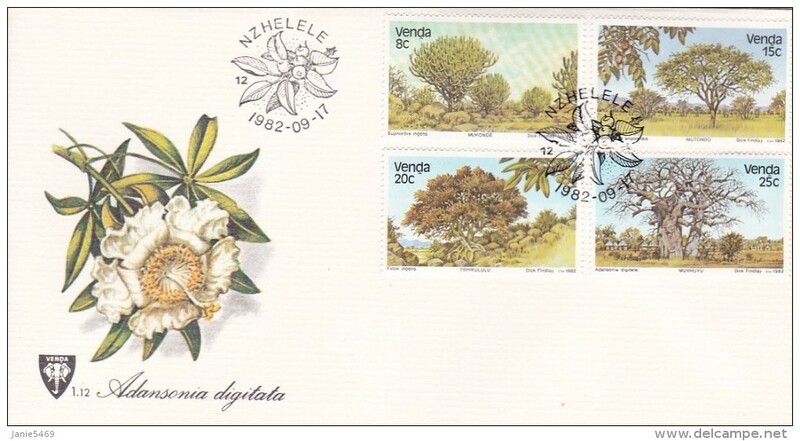 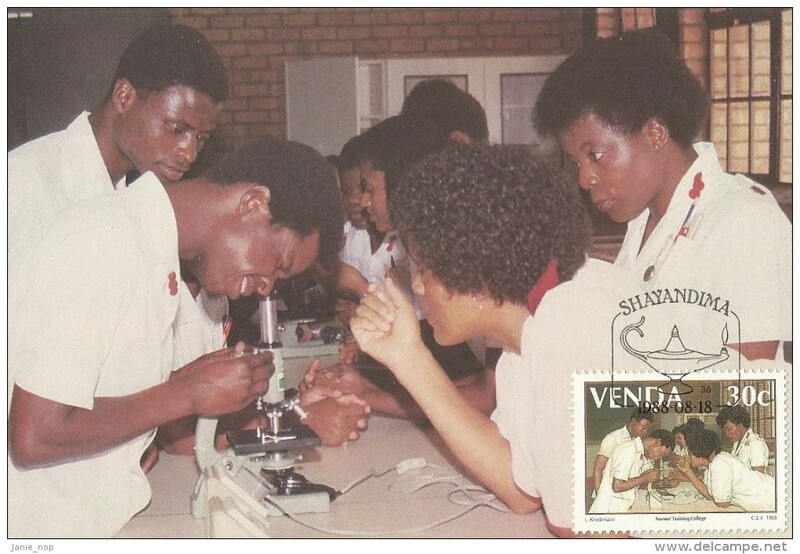 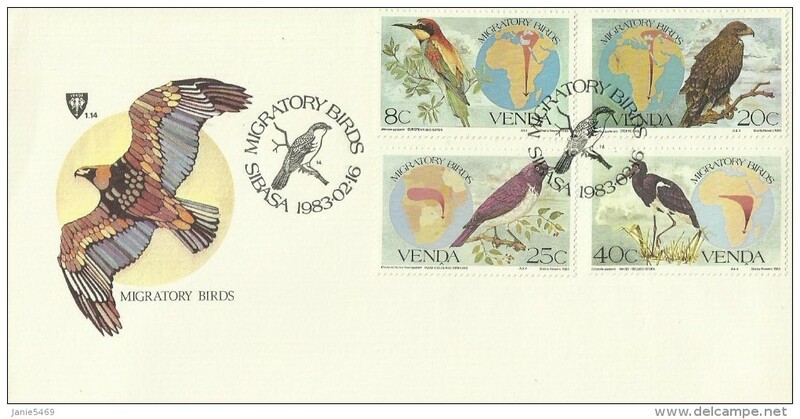 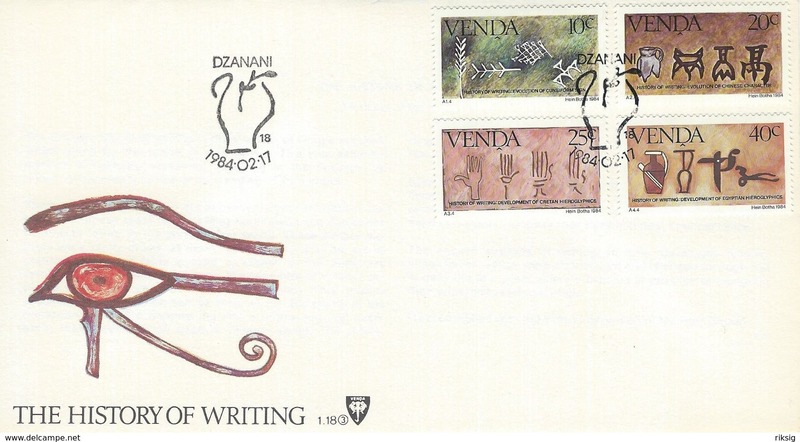 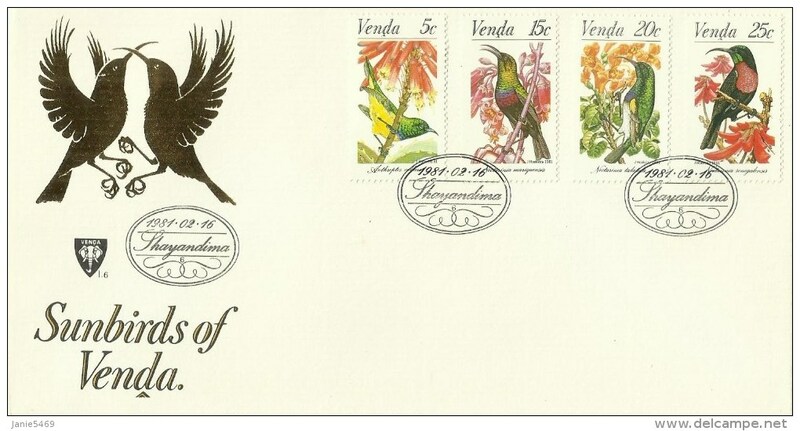 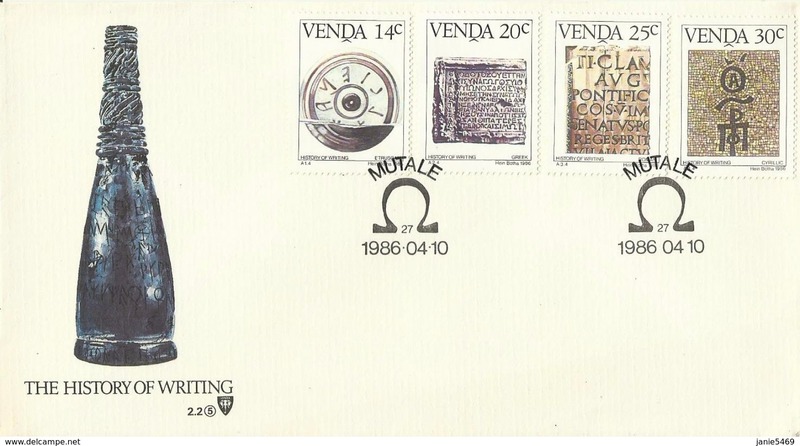 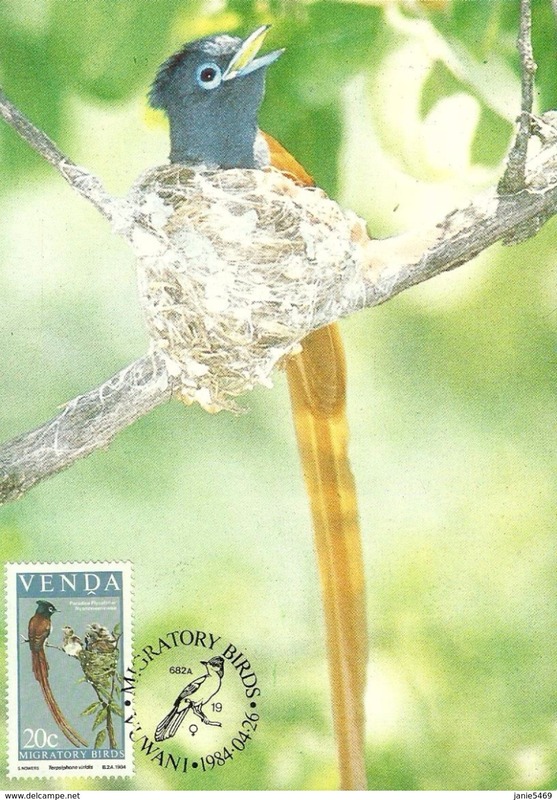 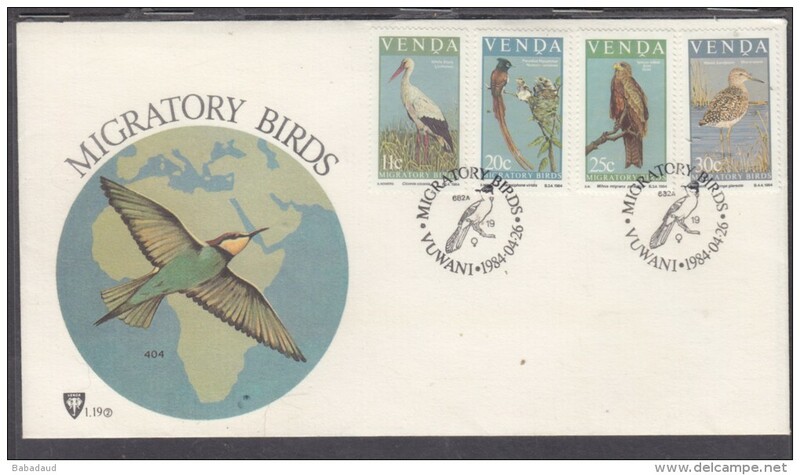 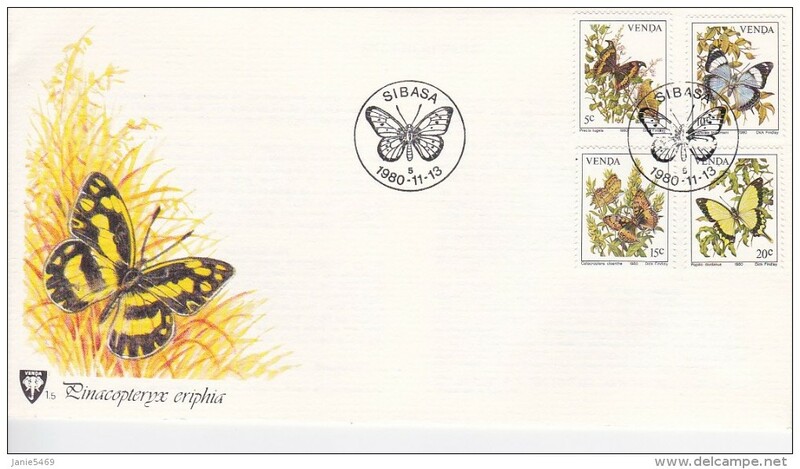 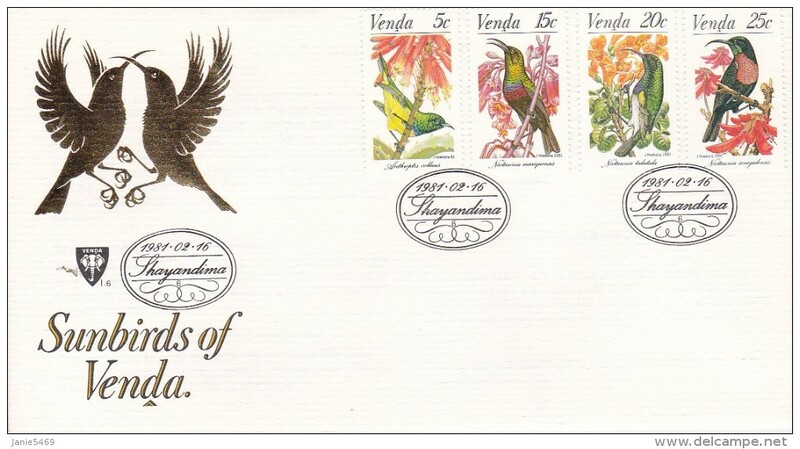 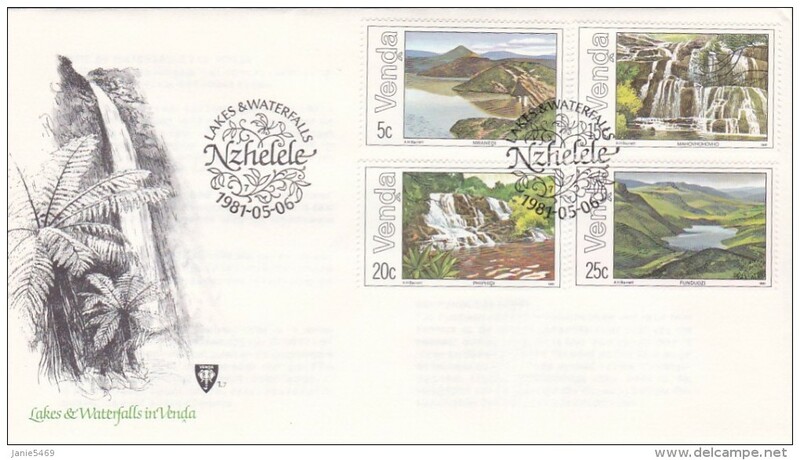 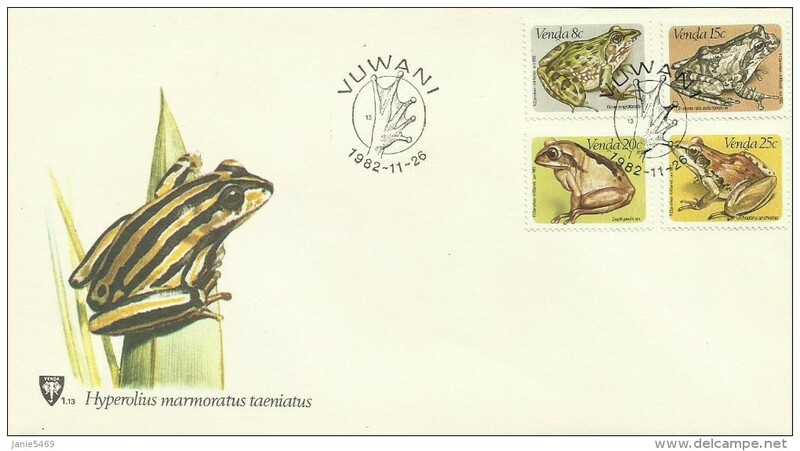 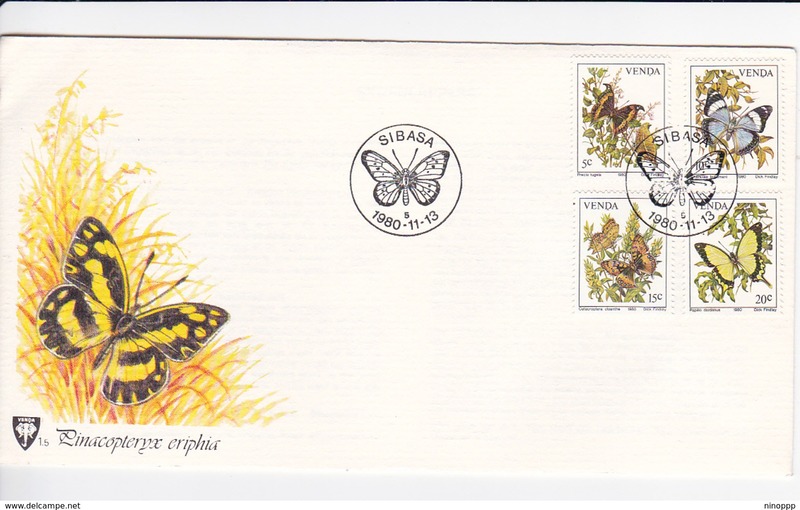 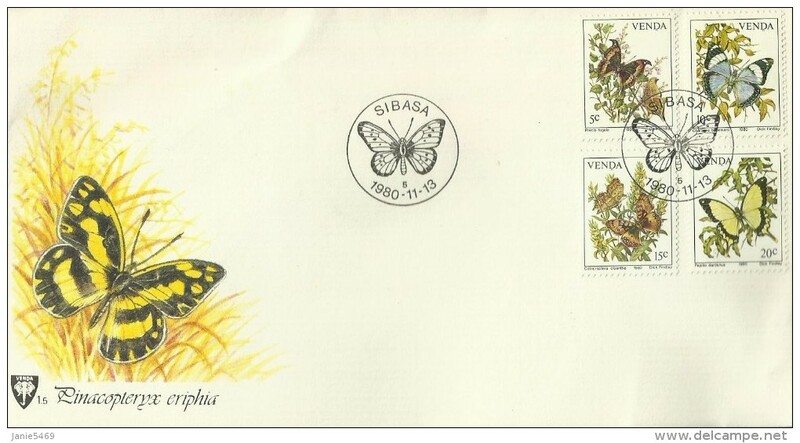 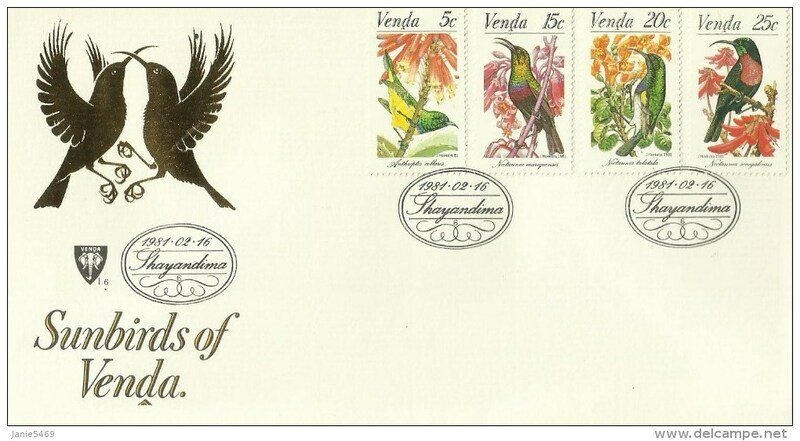 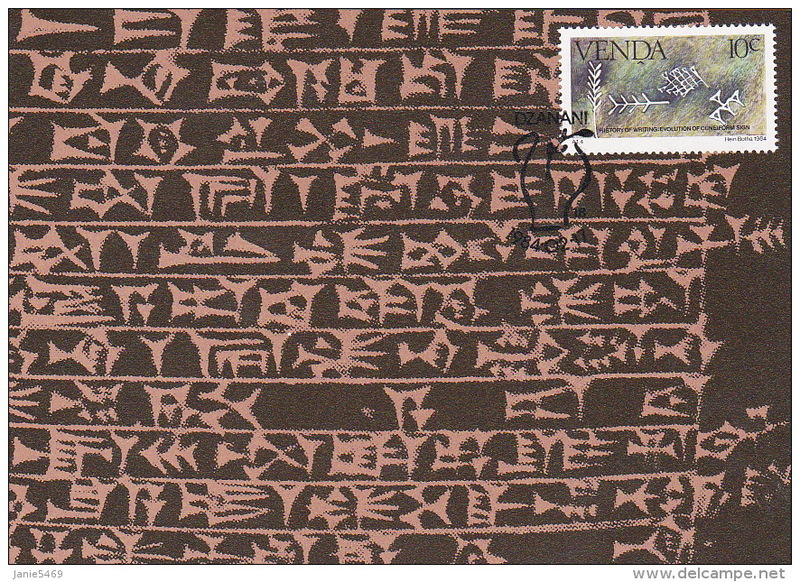 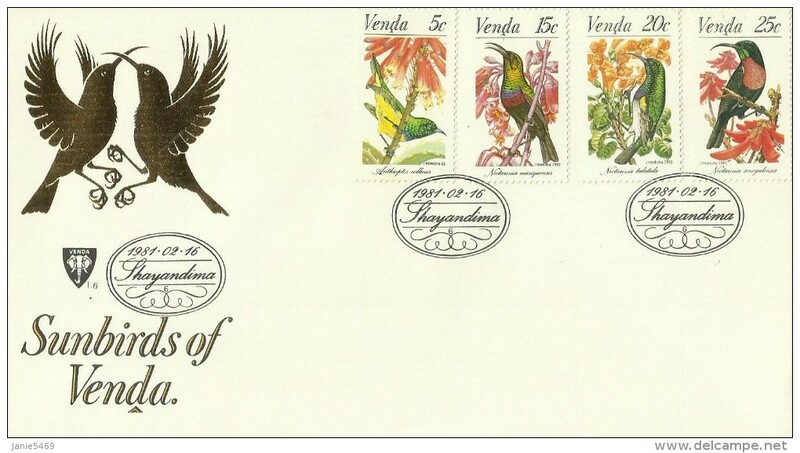 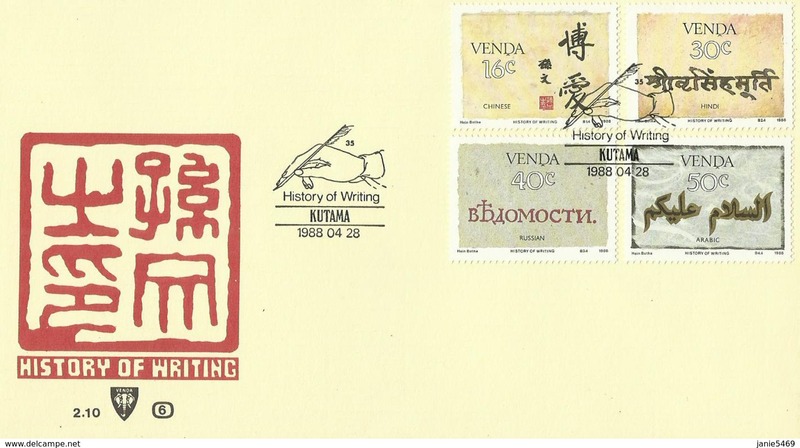 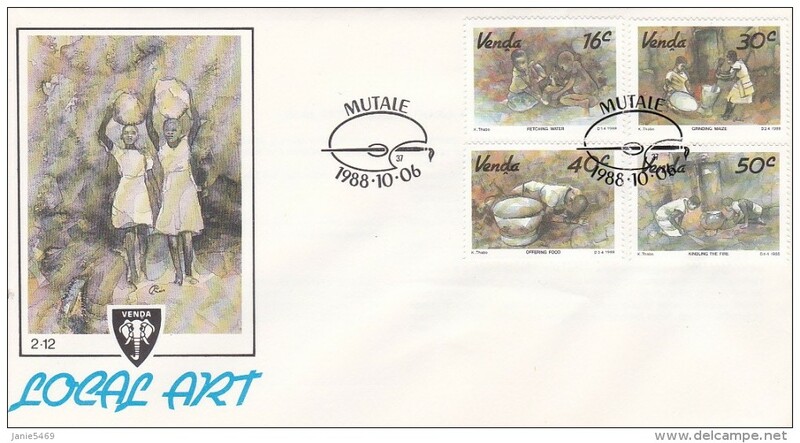 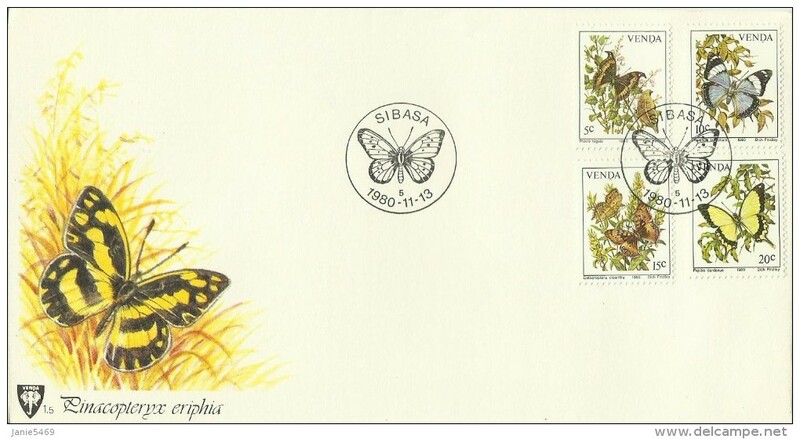 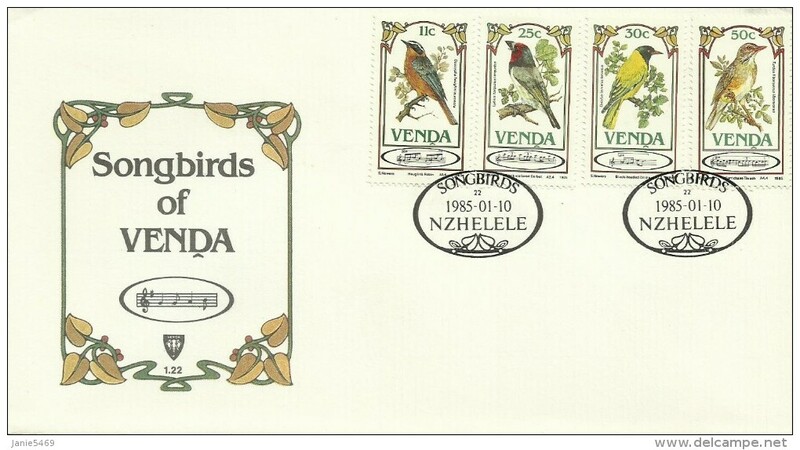 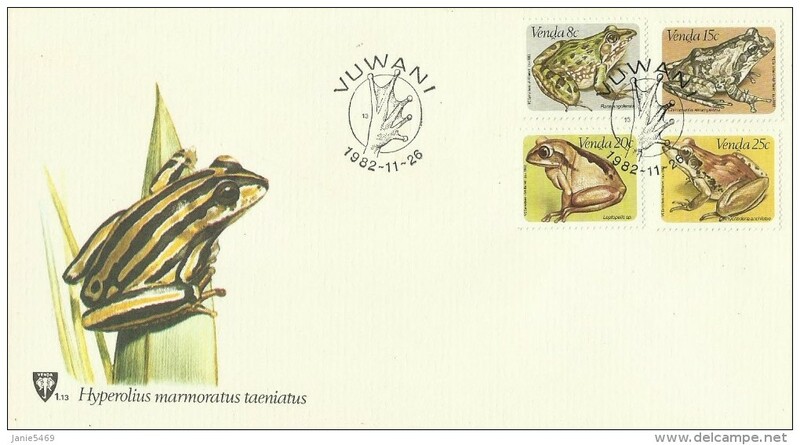 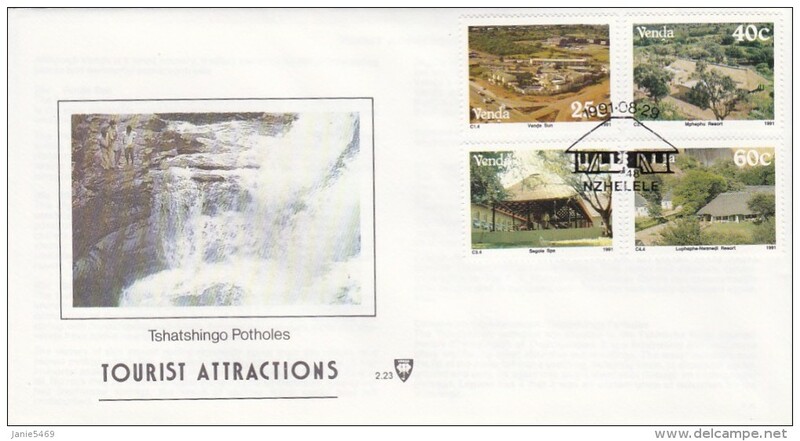 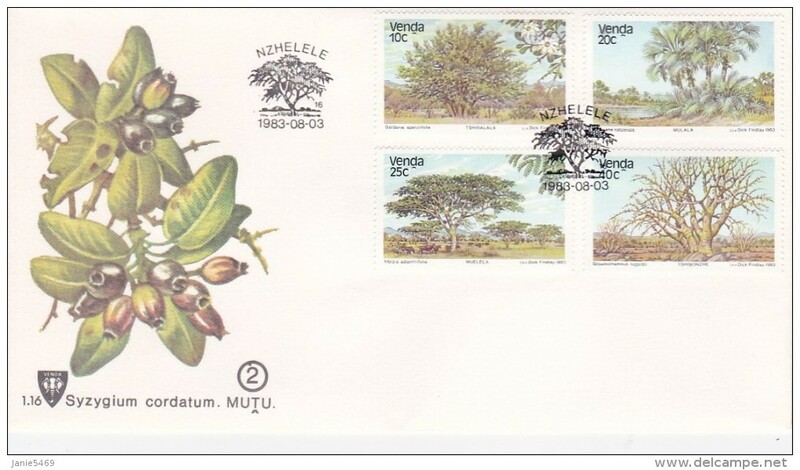 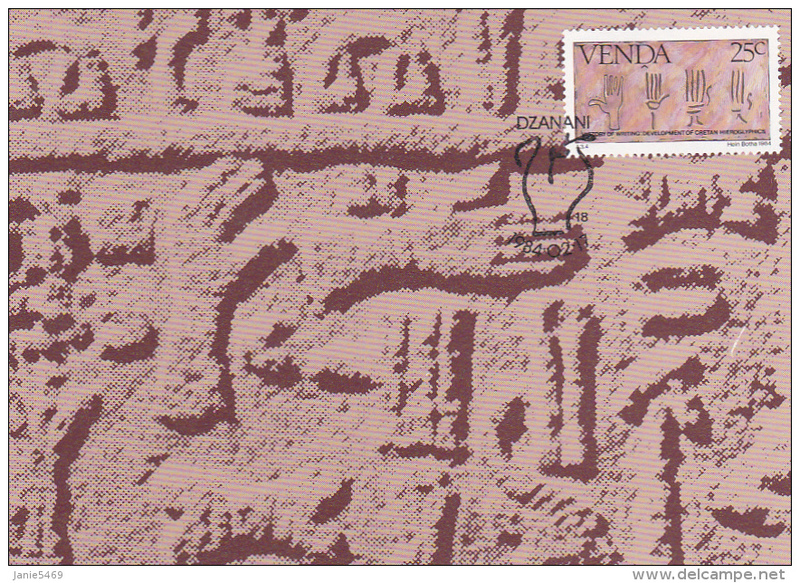 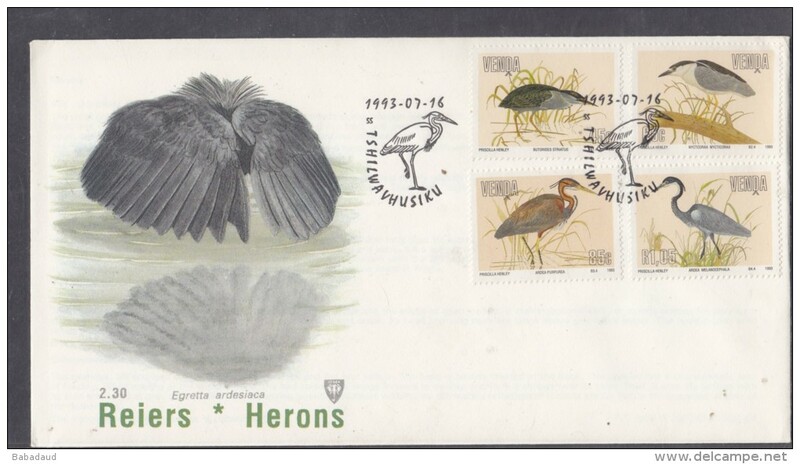 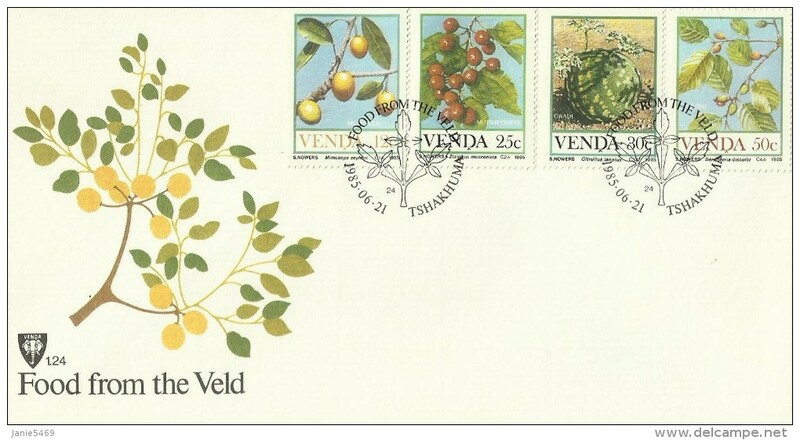 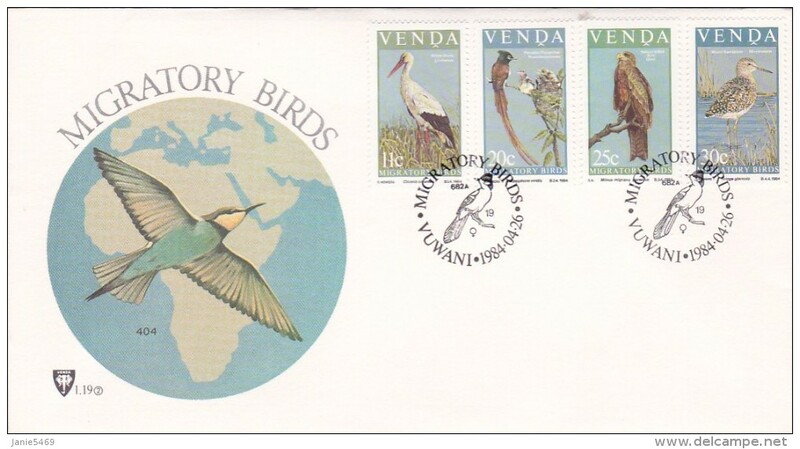 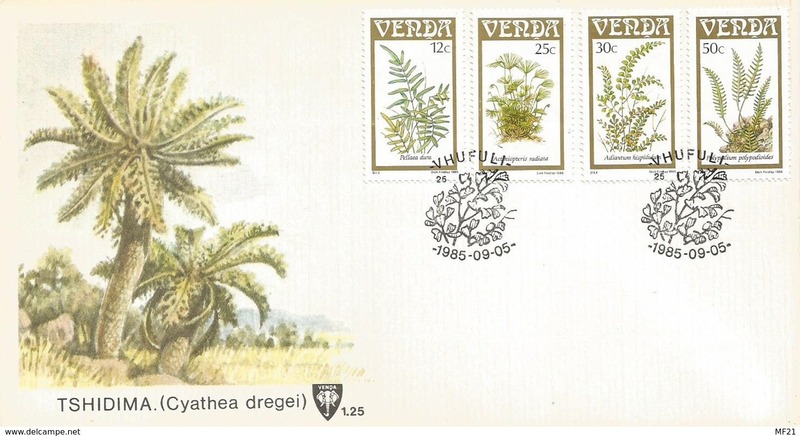 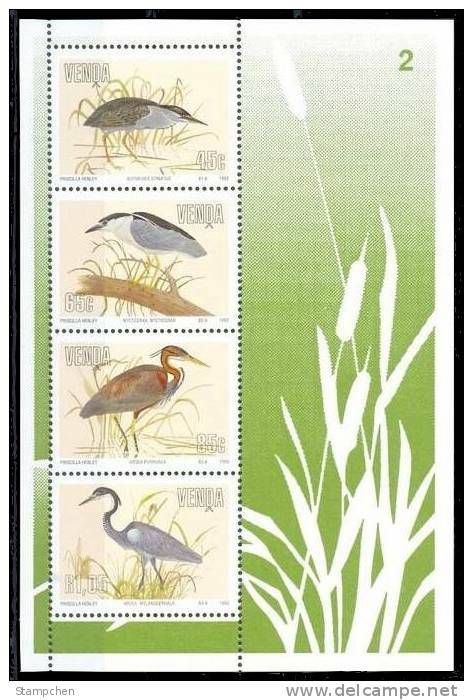 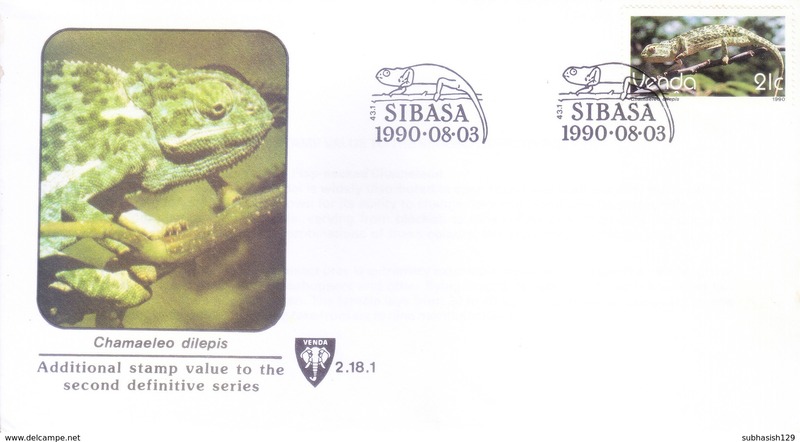 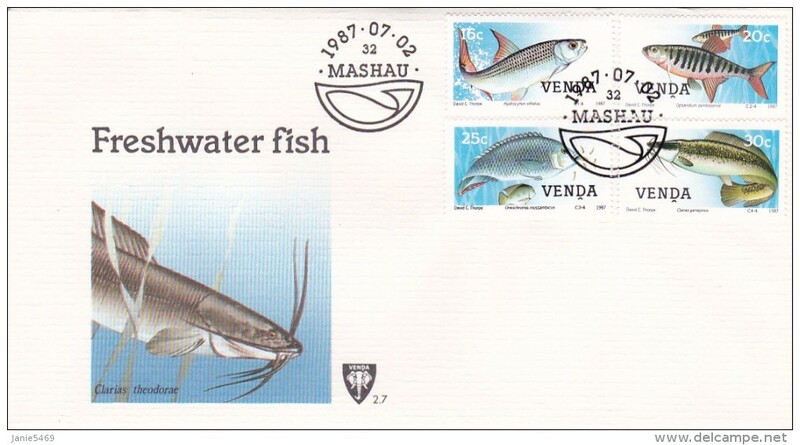 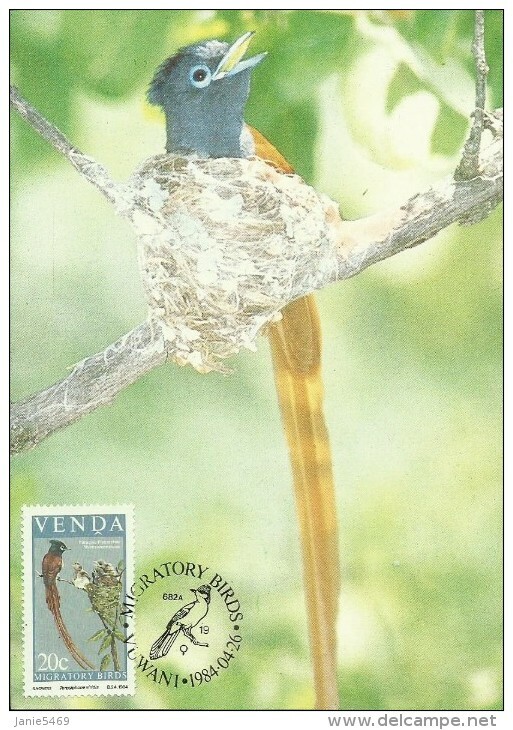 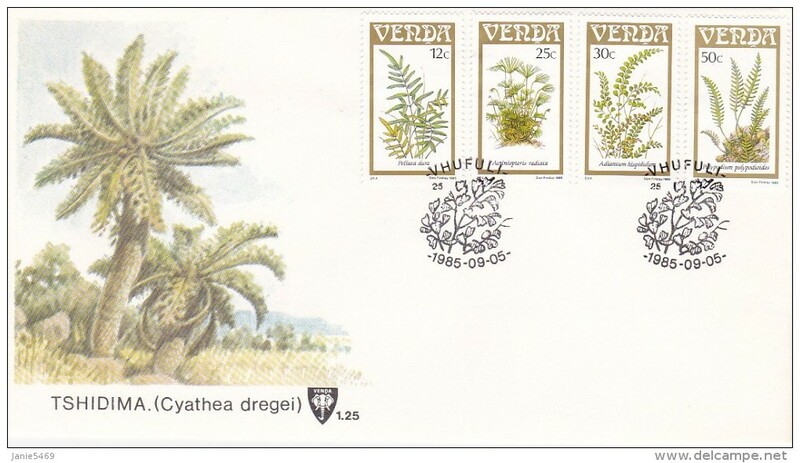 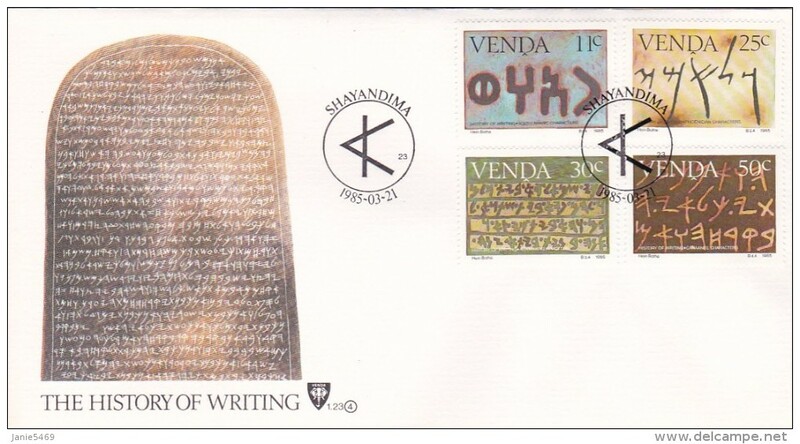 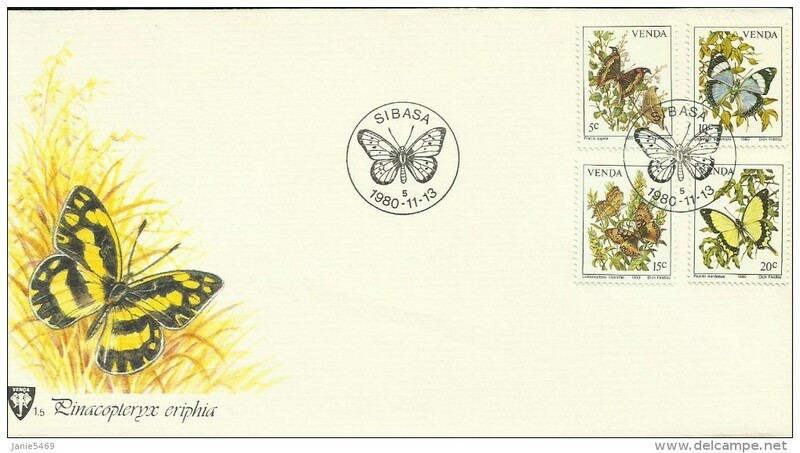 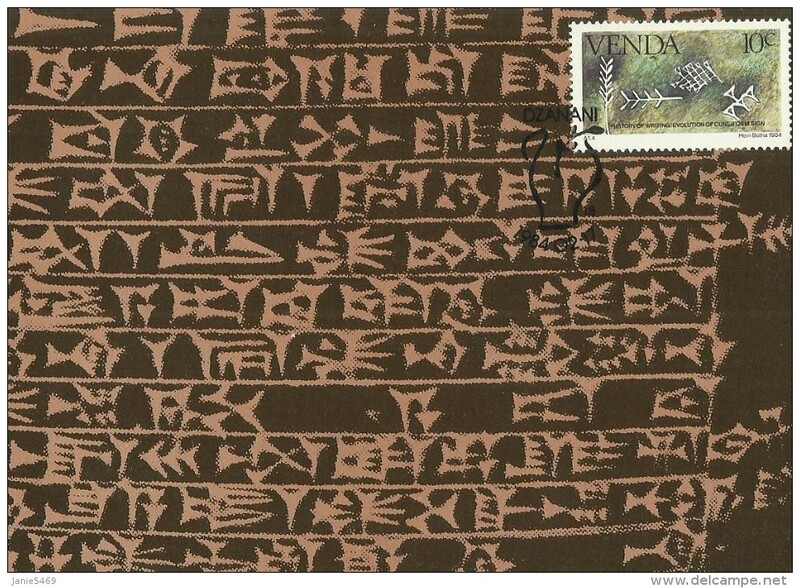 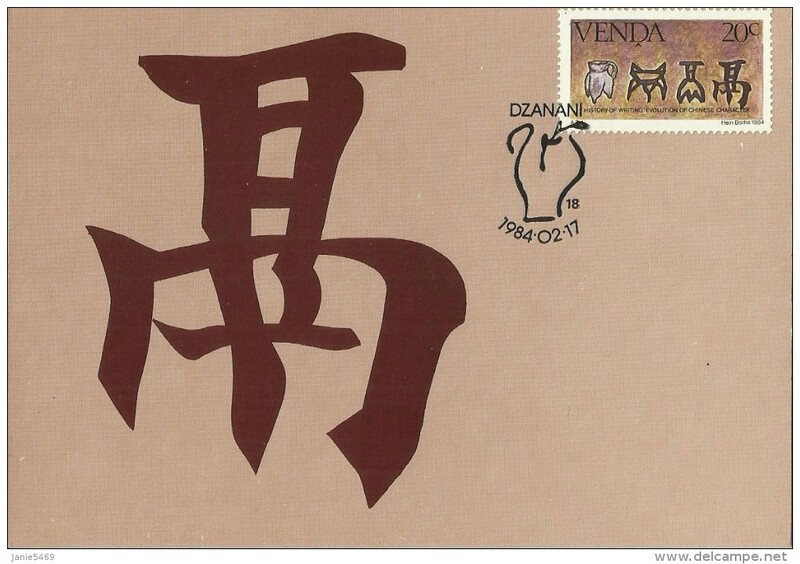 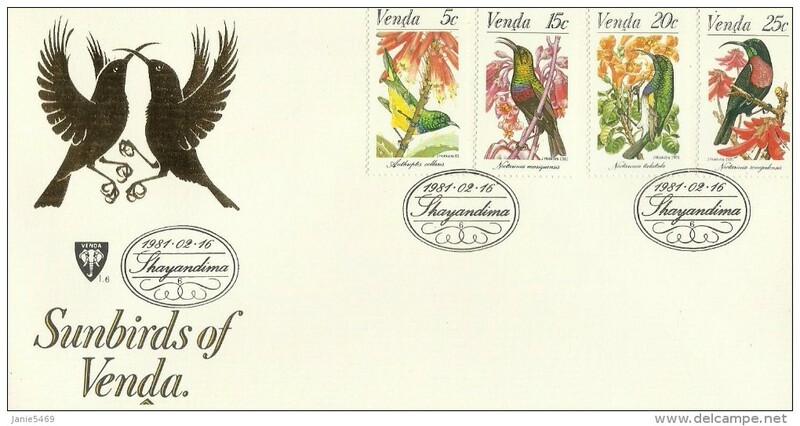 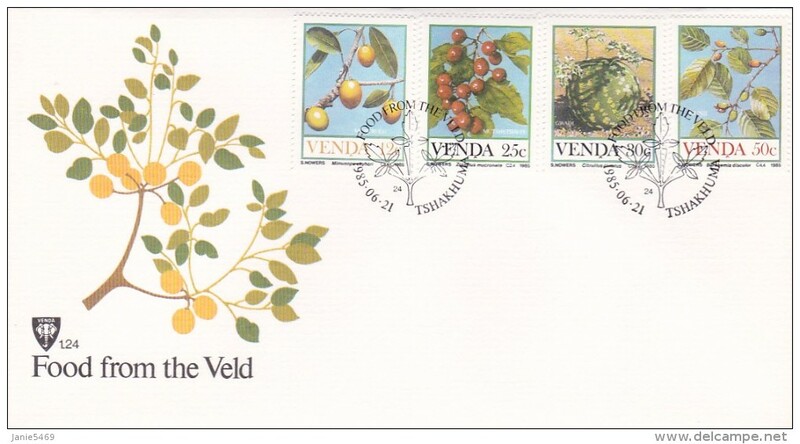 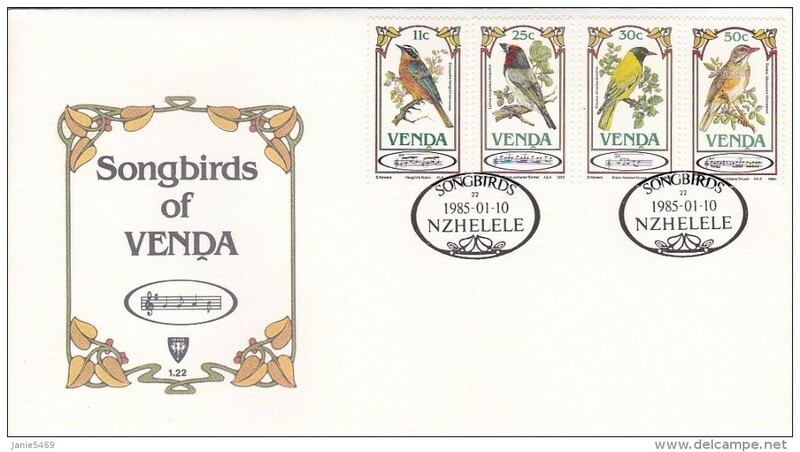 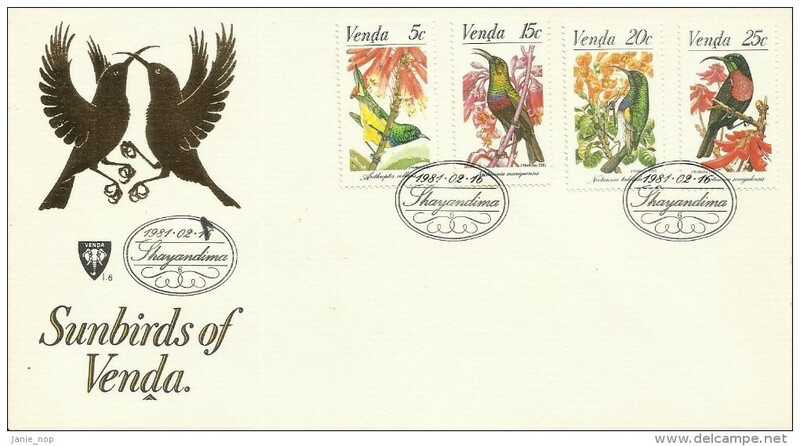 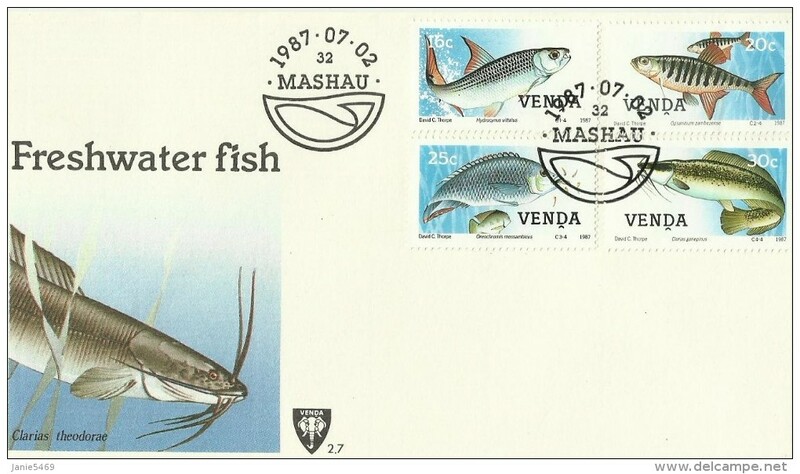 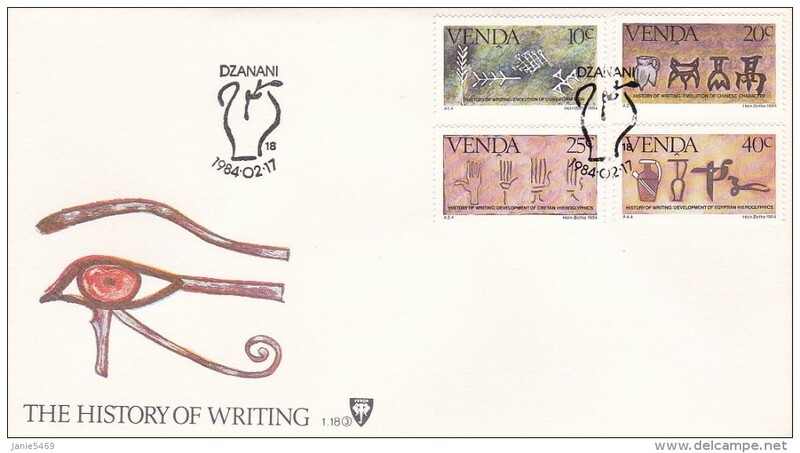 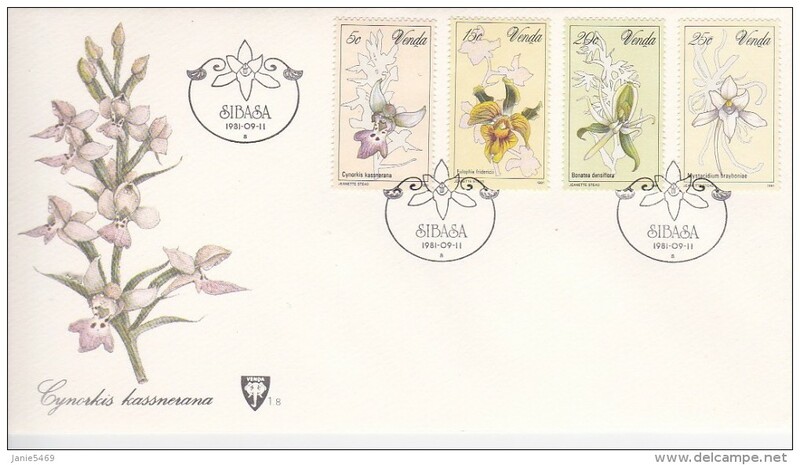 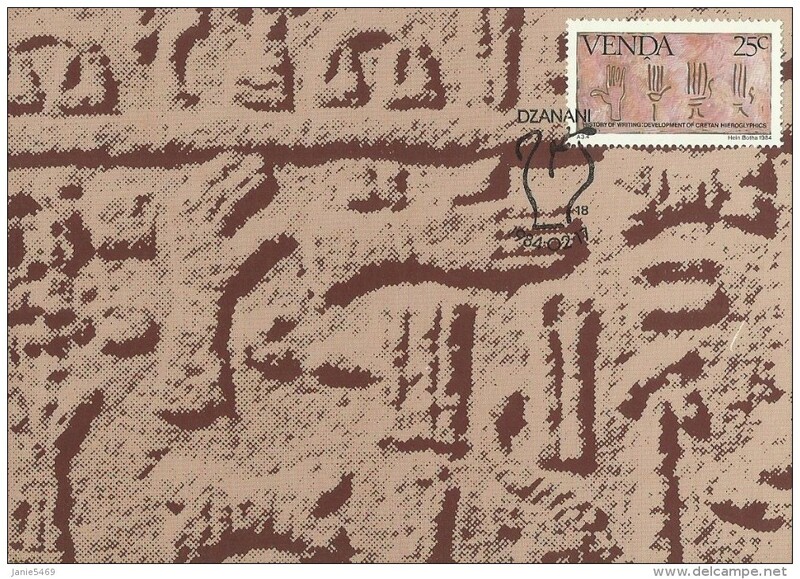 Venda 1980 Butterflies collectors sheet 1./5a special SIBASA cancel. 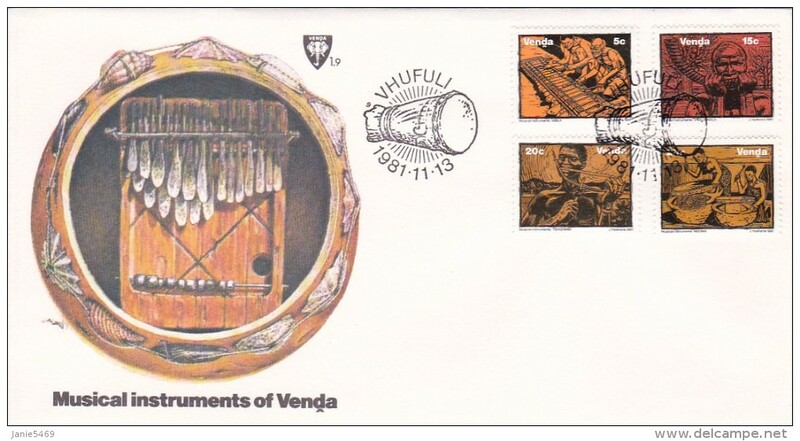 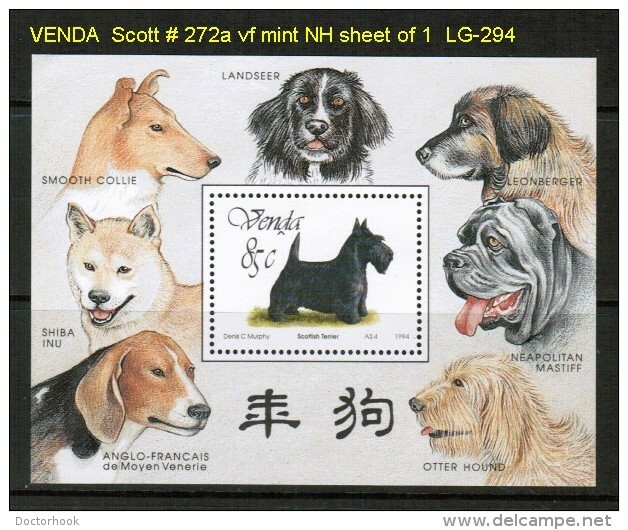 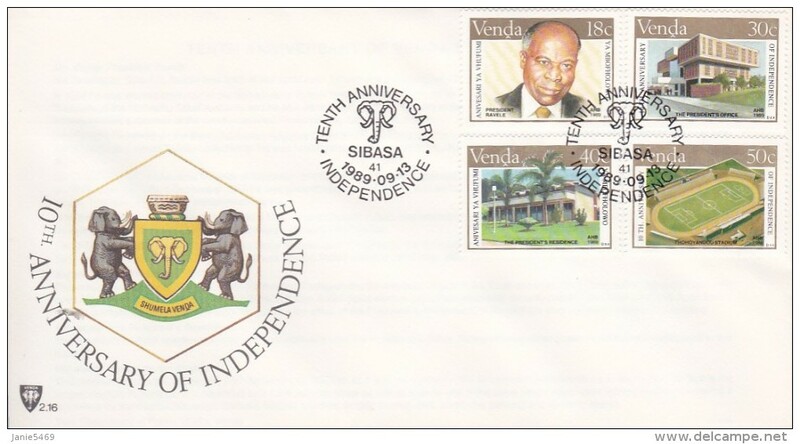 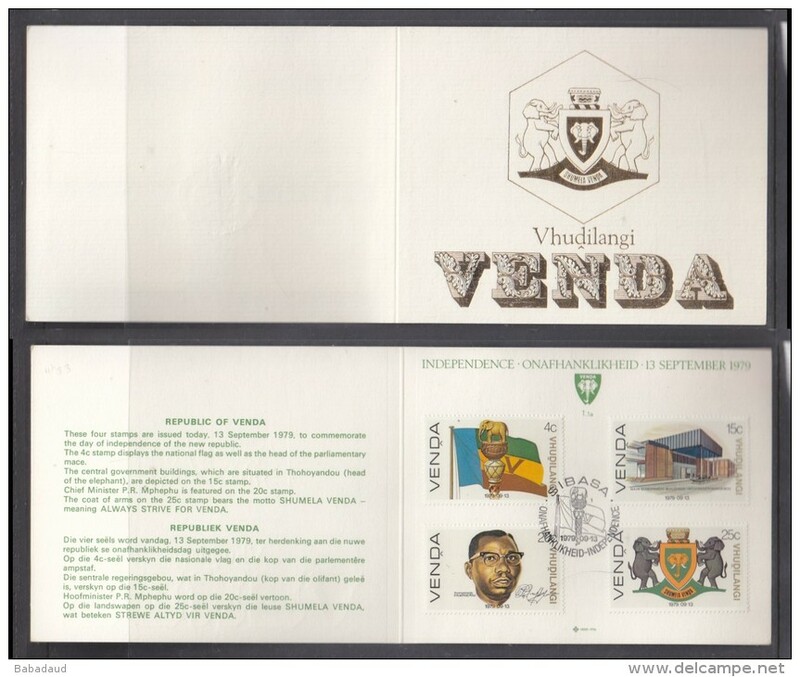 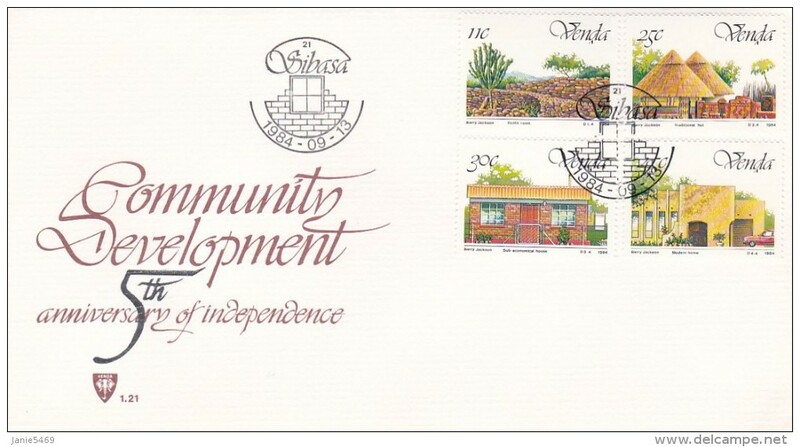 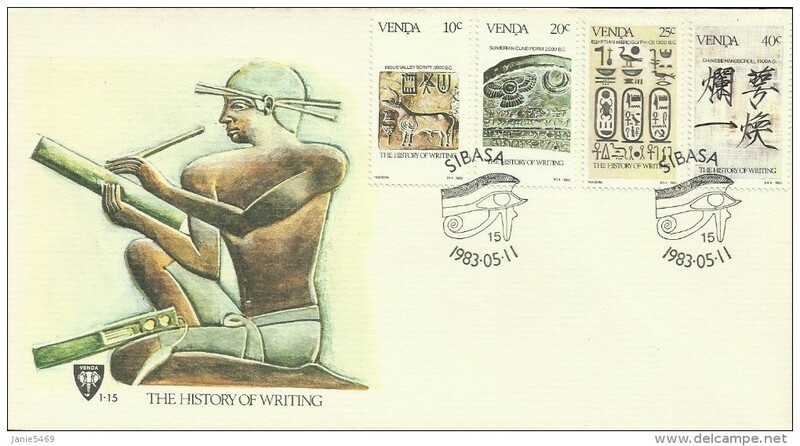 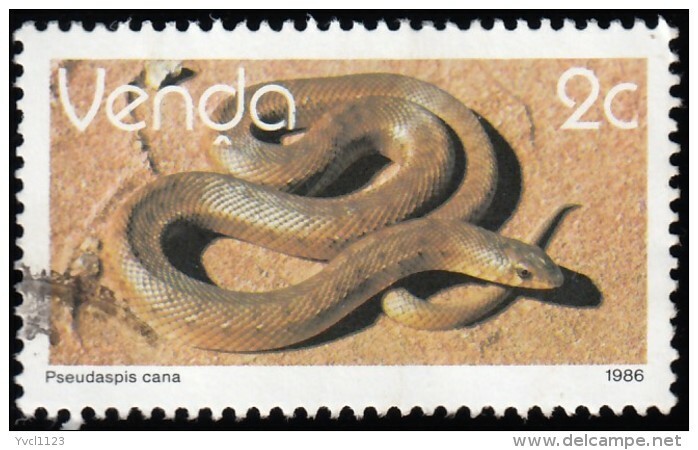 Venda 1979 Independence s collectors sheet 1./1a special SIBASA cancel. 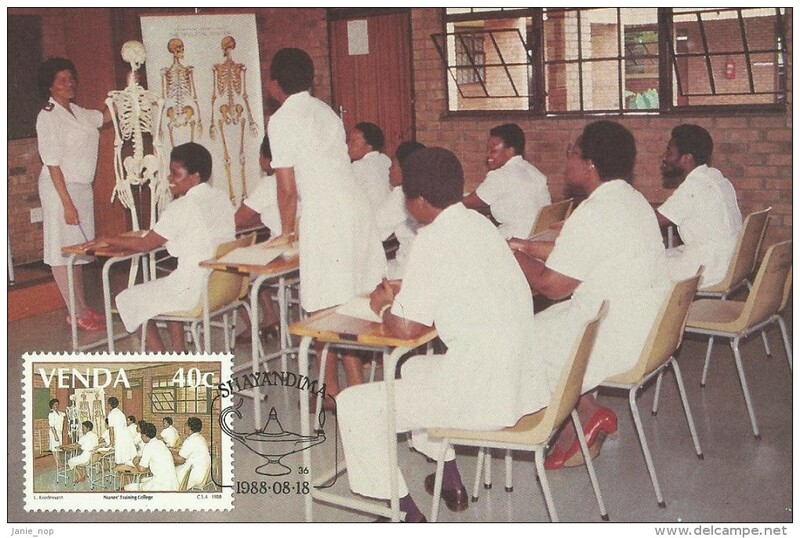 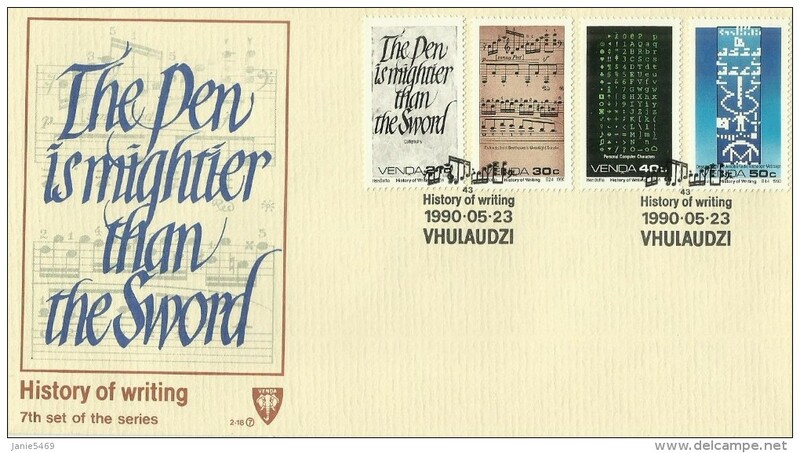 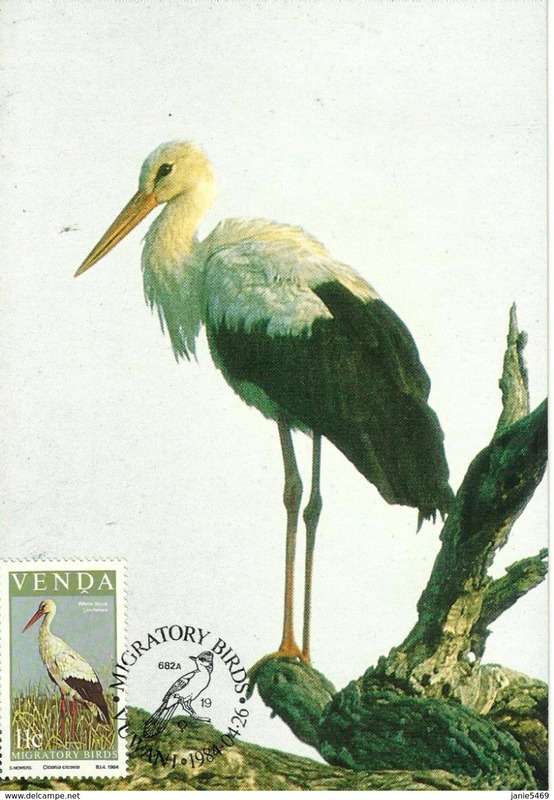 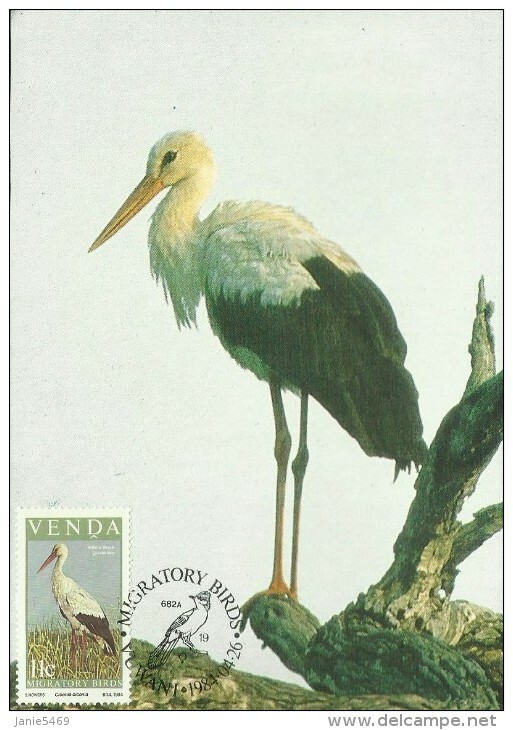 Venda 1984 Migratory BirdsVUWANI special c.d.s.